Having used extensive editing and some remixing for the second of their two excellent Potlatch CDs, Albi Days, Contest of Pleasures – the trio of John Butcher (tenor and soprano saxophones), Xavier Charles (clarinet) and Axel Dörner (trumpet) – returns to its initial acoustic position with Tempestuous, which launches the new British label, Another Timbre. Recorded late on a stormy November night in an old church during the 2006 Huddersfield Contemporary Music Festival, Tempestuous moves between the poles of calm and urgency that the setting might suggest. It even documents the ambient rattles of the building. There’s something marvelous about a performance by this group. Each musician has an achieved purity of sound (suggesting the bel canto of a sine tone), so that he might stand as a model of what soprano, trumpet or clarinet should sound like. Each musician has also explored the sonic potential of his instrument to the point where there are moments that might be attributable to any one of them -- finger taps and air passing through a column become central events. One notable aspect of their work is the exploration of beat patterns, the sounds that arise as two pitches move toward unison, so that there are sounds that can’t be said to arise from any one of the three. At one point or another, each player approaches the specific glissando of a siren, doing so in the midst of sustained long tones. The result suggests an Arvo Pärt score with air-raid hardware. The sum total is an ineffable masterpiece, an unusual collocation of the original and beautiful. A fortuitous typo: in trying to explain the stealth of Rhodri Davies music, “subliminal” is rendered as “sublaminal.” The accidental pun on AMM’s methodology is useful not only in placing the music of the harpist and his colleagues, generally, in a historical context, but also addresses their approaches to articulating underlying form in the moment and the foundational use of elemental sounds to do so. 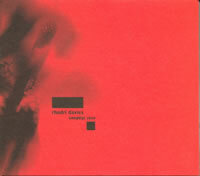 The resulting music can have an alluring elegant starkness, which is the case Davies’ over shadow, an album-length solo piece for harp and ebow (a palm-sized electronic bow), or the bracing iridescence that is frequently achieved on Hum by the quartet with trumpeter/electronicist Matt Davis, flutist Samantha Rebello and bass clarinetist Bechir Saade. It is an approach that comes off as intrinsically relaxed, in that the sounds move and coalesce seemingly of their own accord, requiring only a small initial push by the musicians; subsequently, musicians are able to lay back, listen, and anticipate in a way simply unavailable to them in the busier modalities of improvised music. Unlike most methodologies, this is equally conducive to works like over shadow that receive their final form in post-production and real-time documents like Hum, recorded at London’s Red Rose. Plying tones sustained with surreal evenness by the ebow, Davies is able to give the solo piece a firm arch-like structure; while the shapes morph more unpredictably, given the number of musicians and the array of timbres they can produce, the constituent parts of the quartet’s improvisations frequently have the snuggly joined quality that is largely found in composed works. Hearing these albums in tandem reinforces previous impressions that Davies and his counterparts are extending the trajectory of improvised music, but not on terms determined by their predecessors. Additionally, where they may be in three, five or seven years cannot be reliably predicted on the basis of their current work. Much of what one might want most in a music is apparent in a Salvation Army band: it’s the utopian combination of collective will, spiritual message and community good. The same dynamic is apparent in this version of free improvisation, a group dialogue with strong roots in the jazz tradition by a brusquely functional trio of veterans, saxophonist Dunmall, bassist Nick Stephens and drummer Tony Marsh. It’s an ideal format for Dunmall, in keeping with the scale of his energies. His sound is the kind of big-hearted wail that makes you think he’s playing tenor even when he’s switched to alto, as he sometimes does here, and his playing is rooted deeply in the blues. It defines his solidarity with the tradition. 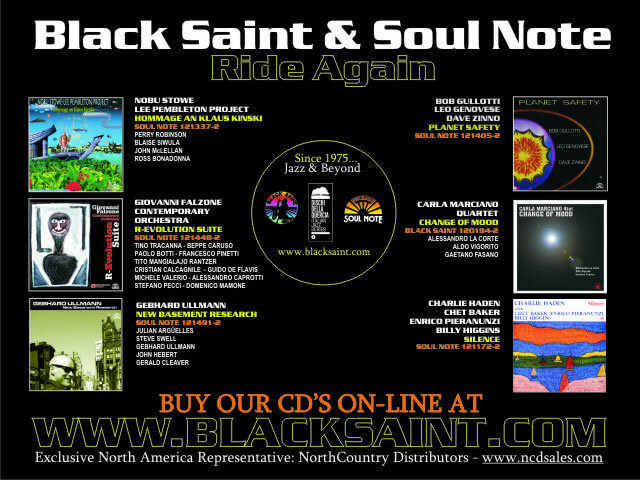 Late-Coltrane is a special presence – you hear it in the tight vibrato and tense detailing of motivic variations in the long opener, “Unfinished Pleasure” – but Dunmall will also hint at the gruff arpeggios of Coleman Hawkins (“Walking Back”) and the special sweetness of Albert Ayler (“All Said & Dun”). While Dunmall can proceed with the intensity of a quest, the engine of his line is rooted in melody and the idea of variation. It’s also a flexible trajectory, shifting with the impulses of the moment and the input of his partners. There’s reflection and wit, aside and extended conversation, with moods from playful to intense. There’s much to be said for what Stephens and Marsh bring to the performance, whether as an empathetic backdrop – resonant concord from the bass, a shimmering halo of cymbal or unlikely snare accent – or on their own terms, generating counter-melody and rhythmic dialogue, creating a music that’s multi-directional. Loose Torque is Stephens’ CD-R label (the discs are very well-done, as is their packaging) and its releases chart Stephens’ work with a host of ensembles. 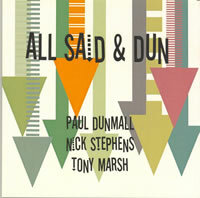 In this it resembles Dunmall’s own label, DUNS Limited Editions, with which he’s been documenting his work since 2000. 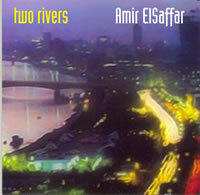 Amir ElSaffar is an Iraqi-American and Two Rivers is a suite in which he explores the duality that links the creative and destructive forces of the Tigris and Euphrates, the “blood and ink streams that coursed through Baghdad after it was ransacked in 1258,” and “the two streams of blood—Iraqi and American—that run through” his body. The musical means that ElSaffar uses to accomplish this suite are remarkable. He is equally adroit as trumpeter and santur player (the hammered dulcimer common to Iran and Iraq) and he has created separate and combined streams in the suite, with elements that alternately draw together and pull apart the improvisatory spirit that is common to both musics. In the two streams of the sextet, Zafer Tawil plays violin, oud and dumbek and Tareq Abboushi plays buzuq and frame drum; Carlo DeRosa plays bass and Nasheet Waits, drums, while alto saxophonist Rudresh Mahanthappa, as adept in this as ElSaffar, negotiates the tonalities of East and West and their convergence. When ElSaffar plays the music of Iraq, it sounds relatively traditional (I’ll confess to an unfamiliarity with the specifics of Iraqi music, but it seems very close to Persian music, particularly that of the Iranian santur master Nasser Rastegar-Nejad). The jazz stream of ElSaffar’s music sounds very much like the suites that Don Cherry constructed in the mid-60s, like “Complete Communion” and “Elephantasy.” It’s a challenging concept, and there’s inevitable drama between the relative stateliness of the traditional music and the headline-like urgency of the trumpeted components, something like the feel of Billy Bang’s Vietnam. The performances are at a very high level, with Waits doing a terrific job of creating driving jazz-inspired rhythms in the midst of mixed traditional meters. It’s one of 2007’s more important works. The title of one of Bobby Few’s earliest recordings as a sideman – Booker Ervin’s 1968 minor classic, The In Between (Blue Note) – aptly describes where Few fits into the avant garde piano tradition. Early on, Few knew how to thicken the mass of large, two handed chords associated with McCoy Tyner by obscuring their tonal center with a mix of wide and narrow intervals, and creating a centrifugal force through the contrary movement of his two hands. Few also knew how to incorporate African American church music techniques to give the most blazing fire music a sanctified aura. His clusters and sweeps of the keyboard often have a pungent bluesiness. And, there’s a truly idiosyncratic rhapsodic streak to Few’s playing that reinforces his standing in the in between. These qualities gave his early recorded work with boyhood friend Albert Ayler and the Center of the World quartet with Frank Wright, Alan Silva and Muhammad Ali an explosive quality that remains concussive to the present. But, oddly, it was Few’s work with Steve Lacy – which began in the late ‘70s and continued well into the ‘90s – where his attentiveness to form is most strongly felt. The inclusion of one of the soprano saxophonist’s trickier pieces, “Flakes,” at the front end of this solo set gives this point a diamond tip; Few cleanly etches the slippery cadence of Lacy’s “skating music” even while he seemingly distresses the form with profuse, tangential embellishments. On such originals as “From Different Lands” and the nearly 20-minute title piece, Few approaches this tension between formal gravity and centrifugal energy through the juxtaposition of sparkling cascading lines, ponderous unisons and sepia-toned motives. While these pieces establish Few as the outbound avantist, “Enomis” and “Dreams,” two ballads that are poignant when they are not unabashedly lush, confirm Few’s old school affinities. 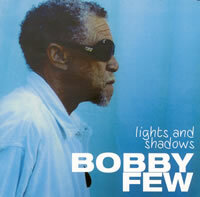 40 years after his first recordings, Bobby Few is still mining the in between, occasionally emerging, with gems like Lights and Shadows.